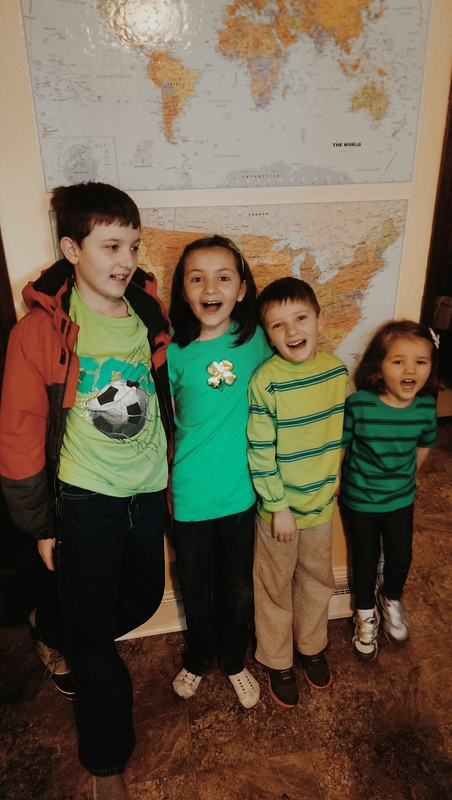 St. Patrick’s Day, where we all wear green and eat corned beef for supper. Then there is March 14, aka Pi Day (because 3.14) where we eat pie for supper and dessert (chicken and s’mores, respectively) and watch Donald in Mathmagic Land afterwards. Katie chose the flavor of the dessert pie, can you tell? What toddler could possibly resist something covered with marshmallows and Teddy Grahams? 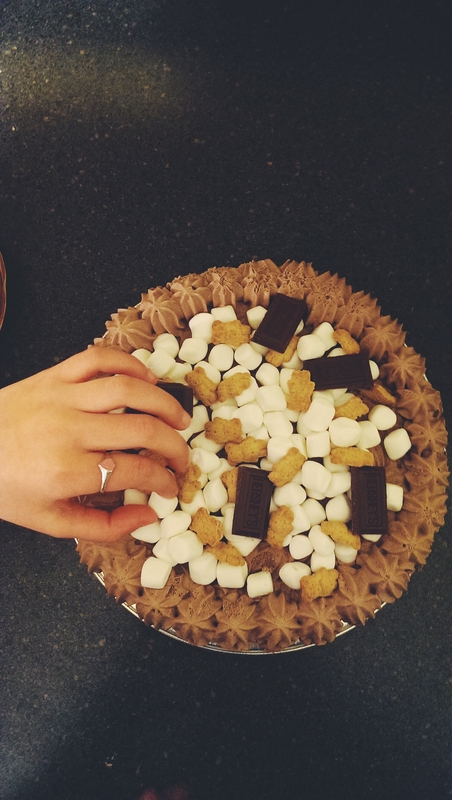 I wanted to take a snapshot of the s’mores pie but the kids kept snatching marshmallows off of the pie. Cute, right? 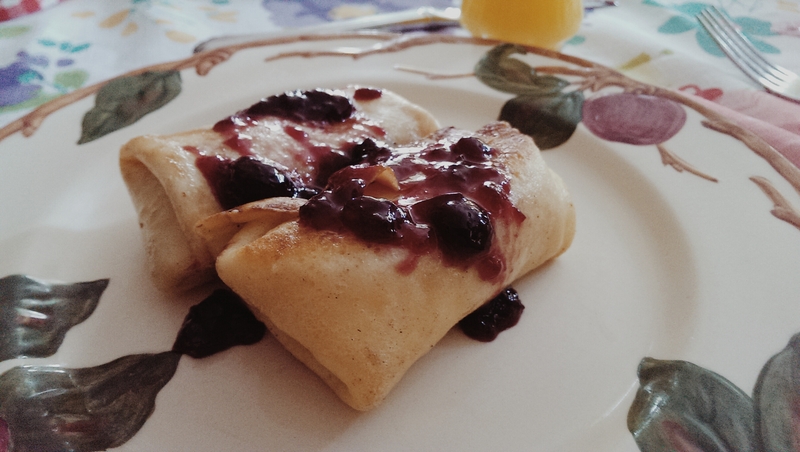 Lastly, we celebrated the first day of spring with fresh blintzes. This is inspired by a picture book we love called How Mama Brought the Spring, where a family in Minsk cook blintzes together. Jeff was really involved in making the blintzes this year and helped roll quite a few of them up. They are, I think, the best batch of blintzes we’ve made so far. That’s so cool – I love all your nerdy holidays. I’ve read the book about blintzes, but I was confused by the recipe’s reference to “farmer cheese.” Do you have farmer cheese by you or do you use a substitute like cottage cheese or ricotta?